The Center has a preview of the June monthly Pika pair plush! 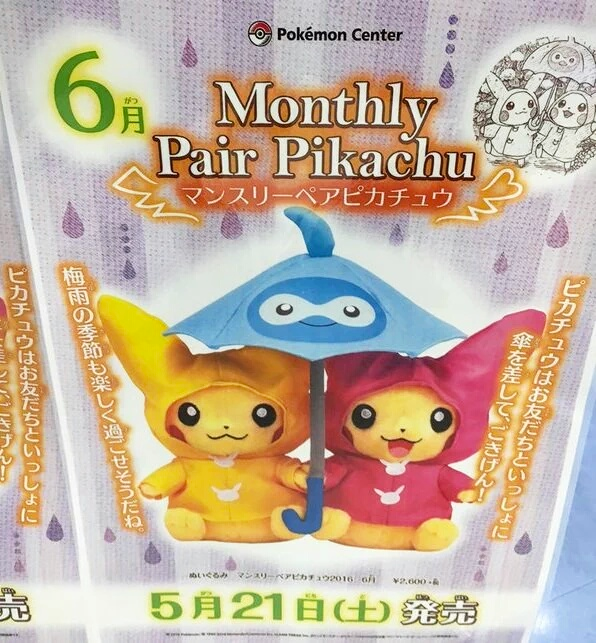 Just like the previous June monthly Pika plush, this plush pair is rainy day themed. It will be released on May 21st for 2,600 yen.